I don’t make New Year’s resolutions. For me, it’s a waste of time and thought. Everyone knows most resolutions don’t make it more than a couple of months before being cast away and forgotten. However, I have enjoyed the aspect of choosing a word for the New Year around which to base my life and growth. Last year, I picked the word “breathe” to remind myself to live in the present and to not stress over things. I can’t say I mastered the practice, but that single word acted as a compass when I needed it the most. The term “settled” has a lot of different meanings, but for my purposes, I want to focus on these: to be placed so as to stay; to become quiet or orderly; to be fixed or resolved conclusively; to be established or secured permanently; to come to rest; to conclude. What an awesome word, right? It encompasses the idea of security, rest, resolution, and stability. Honestly, I can’t think of a better term for this little red-headed writer who’s been called to the mission field of Wales. Of course, God couldn’t leave it at the wonder of the word. 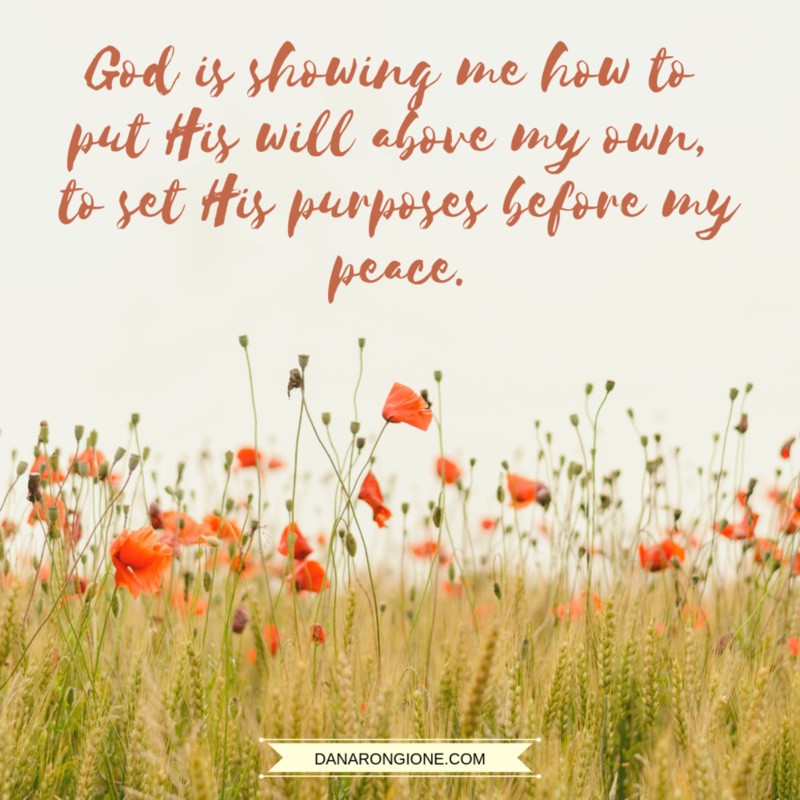 He had to tie it into today’s devotion in our Negatives in the Bible series so I could, once again, make the connection between my life and God’s promises. Isn't He awesome! ﻿There are at least half a dozen other verses that match those above nearly word for word, not to mention the many throughout the Bible that teach the principle of the righteous being settled and secure in the care of the Lord. To ensure I didn't see a connection where there wasn’t one, I looked up the word “moved” in my Bible dictionary. Would you like to take a guess at what it means? The definition is this: to totter, shake, or slip; to be overthrown; to dislodge, fall, or drop; to be greatly shaken. Whoa! The term “moved” means the opposite of “settled.” So, to not be moved means to be settled, right? There’s no missing the connection. My word for 2019 is based on one of the promises of God repeated throughout Scripture—the righteous are settled; they shall never be moved. If you’re anything like me, your first thought was, Wait a minute! I’m saved and consider myself righteous, but I’ve fallen plenty of times. I’ve slipped and messed up and had to make my way back to God for forgiveness. My faith has been shaken more times than I can count. So, how can this promise be true? Something doesn’t make sense here. I hear you. It seems like God’s Word and real-life experience aren’t matching up. But hear me out. The word “righteous” doesn’t mean those who are saved; it means those who are saved and living right. When we fall, mess up, and slip, are we living right? No, that’s why we fall. When our faith is shaken, are we right with the Lord? Not according to the Scriptures: But without faith it is impossible to please him: for he that cometh to God must believe that he is, and that he is a rewarder of them that diligently seek him. (Hebrews 11:6) We can’t be right with God (aka righteous) when we do not please Him. Does that make sense? God’s promise states when we’re walking with Him in His will, we will not stumble, slip, fall, or be shaken. We will be settled, like a tree planted by the water. Secure. Unwavering. At rest. It’s only when we get outside of His plans for our lives that we run into trouble. That’s not to say the Christian walk will be easy. It won’t be. There will be plenty of trials and heartaches, but when we’re secure in God’s will, we’ll make it through to the other side. Settled. Unmovable. Fixed. Resolved. Yes, I like that. I like it a lot. What about you? Do you have a word for the new year? I’d love to hear which one you’ve chosen and why you’ve chosen it, so please leave a comment below. Jason and I enjoy watching the show, Food Network Star. For those of you who are not familiar with it, a group of chefs (some professional, some not) competes for the chance to gain their own show on the Food Network Channel. The challenges vary from week to week, but all of them include a cooking portion and a presenting portion where they tell others how to make their dish. It’s entertaining to watch the chefs grow in both their culinary skills and their presence in front of a camera or a live audience. Each week, the chef who performed the worst is eliminated, leaving the others to continue vying for the spot of the next Food Network star. One of the most difficult challenges the contestants face is near the end when they’re down to just a handful of contestants. The eliminated chefs return, and some of them are partnered with the current contestants to act as their sous-chefs (basically, an assistant). On the surface, one would think this challenge would be easier than the others because the chefs have an extra set of hands to prepare their meals in the allotted time, but it all depends on the willingness of their sous-chef to trust and follow directions. On one of the most recent episodes we watched, a Kentucky chef named Jason was one of the final contestants and was joined up with a former contestant who was a know-it-all. While the sous-chefs of the other contestants followed orders and trusted the instructions of their chefs, she questioned every order and often did as she thought best. At one point, the head chef instructed her to leave the sauce boiling until the flame disappeared (his sauce included a heavy dose of bourbon). Afraid of the flame, she kept saying, “I don’t think this is right. This doesn’t look right. I’m going to turn it down.” Each time, Jason, the head chef, assured her, “No, it’s fine. Just let it keep burning. It’ll be fine.” Despite his assurances, she fretted over the flame, and as soon as the head chef turned away, she mumbled, “This doesn’t look right. I’m turning it off.” And she did. When the judges tasted Jason’s food, everything was wonderful except for one thing. Yup, the sauce. The bourbon hadn’t cooked down enough, and the sauce was too strong. In her failure to trust the head chef and follow his orders, the sous-chef nearly cost him the prize. I think you probably already see where I’m going with this. How many times are we, like the sous-chef, unwilling to trust the Master because we don’t understand the plan? How often do we take matters into our own hands because things don’t look right to us? So many times, our doubts and uncertainties cause us to question the Lord’s instructions, and we decide we know better and do things our own way. And the result is often a catastrophe. Funny enough, I found myself furious with that sous-chef. She should have listened to Jason. It was his dish, his recipe. He knew what he was doing. She should have trusted his judgment and obeyed his instructions. I was shouting at her, “Just leave it alone, and do what he said!” And then, I received a heavenly thump in the back of my head, and my outward criticisms turned to inward rebuke. I should listen to the Lord. It’s His plan, His creation, and He knows what’s He’s doing. I need to trust His judgment and obey His instructions, even when I don’t understand. Especially when I don’t understand. Lord, help me!